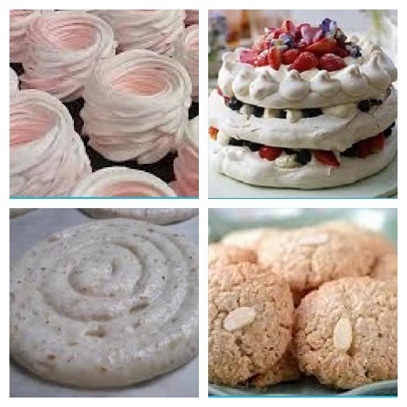 During this course, you can learn how to make the lightest, most delicious meringues & macaroons. This is a 4 hour course, so you will be able to learn how to make 3 goods during your course. Just choose from the following list. Learn how to make and pipe Meringue nests or shells, Make some traditional Macaroons with a hazelnut in the middle, a traditional Pavlova might be your favourite? We can teach you how to make coloured French Macarons. Japonaise which are small discs of semi-hard meringue made with ground nuts and filled with delicious chocolate ganache. If your favourite meringue based goodie is missing, simply call us on 01474 816659 or use our Contact Form online to arrange a course to suit you. All of our classes are limited to 4 people. Be the first to review “Meringues & Macaroons” Click here to cancel reply.